The tumultuous culture in which American churches waged their religious war. The fundamentalist complaint about liberal rationalism is ironically also a fair critique of fundamentalism. The first trial of the century revealed a great divide separating American Christians. Who could pray at the trial? Eccentric aspects of this first media trial. Condensed editorials from the summer of 1925 show a nation at odds. 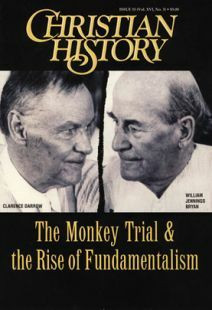 Chronology of the rise of Fundamentalism. It’s pretty hard to stereotype early fundamentalist leaders.